The meeting was held at 5, Kalidas Marg residence of the Chief Minister, where Sunita, the widow and her two sons Shreya and Abhishek were present. 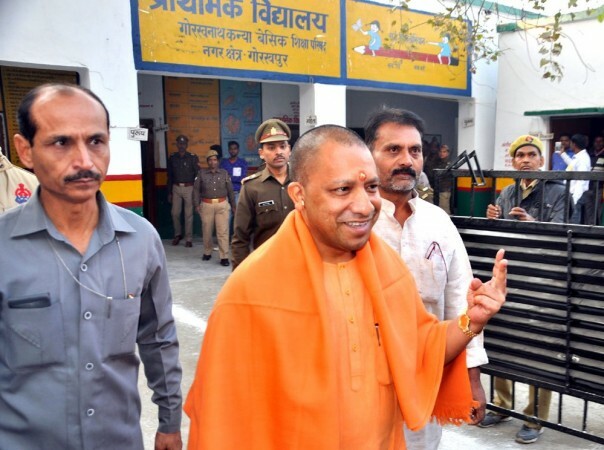 The family of slain Uttar Pradesh Police Inspector Subodh Kumar Singh, who was killed in Bulandshahr mob violence, met Chief Minister Yogi Adityanath on Thursday, even as the main conspirator of the mayhem, Bajrang Dal's Yogesh Raj, continues to evade an arrest. The meeting was held at the 5, Kalidas Marg residence of the Chief Minister, where Sunita, the widow and her two sons Shreya and Abhishek were present. There have already been two high-level meetings on the Bulandshahr incident with Chief Minister Yogi Adityanath. However, there was "no clarity on the line of action" with regards to the arrests of men belonging to the VHP, Bajrang Dal and BJP -- named in another FIR, informed sources said.